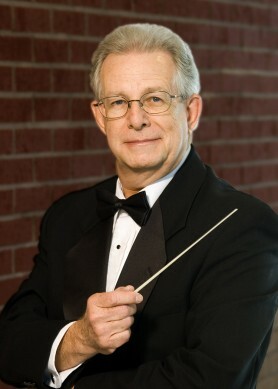 Bill Ackerman holds bachelors and masters degrees in music education from the University of South Carolina. He is a member of the SC Band Directors Association Hall of Fame, the SC Music Educators Association Hall of Fame, the SC chapter of Phi Beta Mu Bandmasters Fraternity Hall of Fame, and is a three-time recipient of the National Band Association "Citation of Excellence." He retired from teaching in 2000 after 31 years as a band director and music administrator in Lexington School District Two. He currently serves as the executive secretary/treasurer of the SC Band Directors Association and is an adjunct field experience supervisor for the University of South Carolina School of Music. He has been the conductor of the Columbia Community Concert Band since its inception in 1981.